Accounting@Syracuse is the Whitman School’s new online master’s program in accounting. The Martin J. Whitman School of Management and 2U, Inc., have announced an expansion of their existing MBA@Syracuse program to include Accounting@Syracuse, a newly rebranded and strengthened online master of science in professional accounting designed to prepare students for accounting roles in business strategy, consulting, information management and other business fields. The new program offering from the Whitman School and 2U, a leading provider of cloud-based software-as-a-service solutions for leading nonprofit colleges and universities, will combine Syracuse University’s established reputation and robust accounting curriculum with 2U’s advanced learning platform and technology-enabled services to deliver high-quality education to qualified students anywhere. Accounting@Syracuse will include live weekly, face-to-face sessions taught by Syracuse University professors in small, seminar-style classes. Immersive course content, featuring high-quality videos, quizzes, learning modules and other interactive multimedia, will be developed by Whitman faculty and 2U’s instructional designers. Additionally, faculty and students will be able to access the Accounting@Syracuse online learning platform and coursework on mobile apps, both online and offline. Accounting@Syracuse will offer different sequences for students with or without previous accounting coursework. Students with a bachelor’s degree in accounting will complete a 30-credit sequence, while students who hold a bachelor’s degree in business will complete a 42-credit sequence. 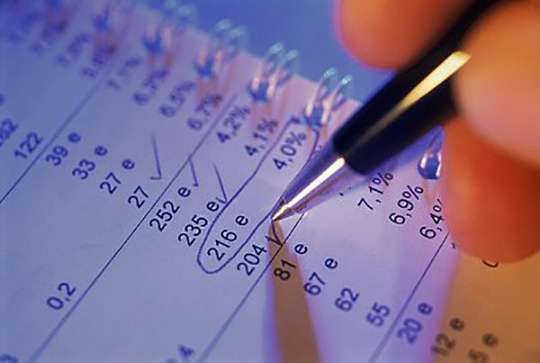 Students who are new to accounting will complete a 48-credit sequence. The Accounting@Syracuse curriculum will include advanced coursework in financial statement analysis, advanced auditing, taxes, business strategy and international accounting. In addition to training for traditional accounting roles, such as the certified public accountant (CPA), Accounting@Syracuse graduates also will gain the skills required for roles such as financial analyst, corporate treasurer, controller, auditor or financial consultant. Applications are being accepted now for Accounting@Syracuse, for the first cohort beginning in July 2015. For more information on Accounting@Syracuse, visit onlinebusiness.syr.edu/accounting, or contact an admissions counselor at 844-SYR-4622 (844-797-4622) or admissions@onlinebusiness.syr.edu.